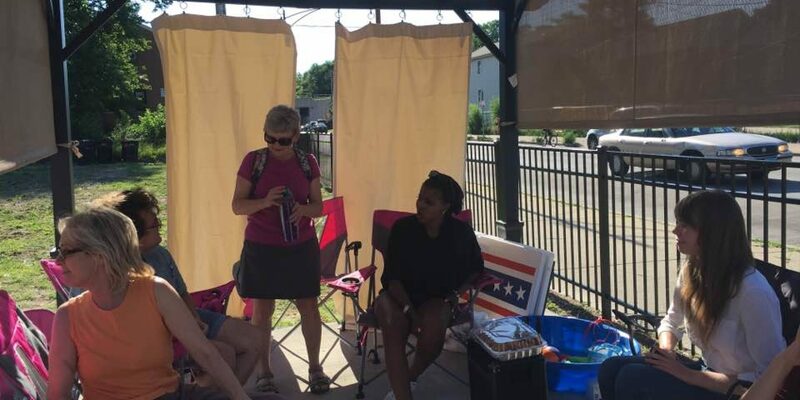 On Tuesday, July 17th Rep. Williams and her district office staff joined Moms Demand Action- Lincoln Square for one of Mothers Against Senseless Killing (MASK)’s daily summer BBQ gatherings. 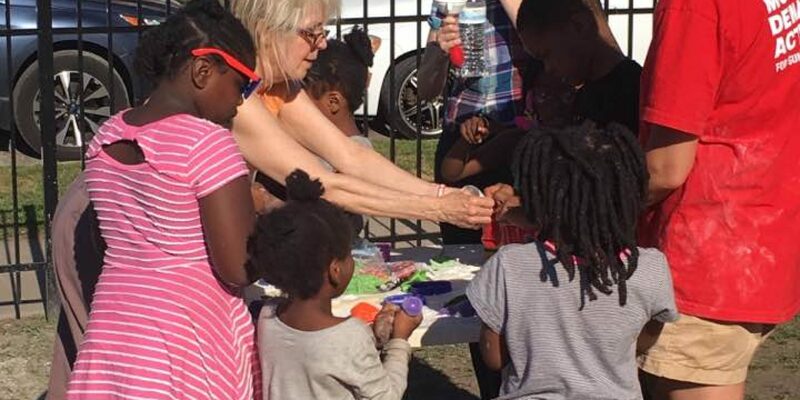 MASK was established in 2015 by a group of mothers who decided to set up daily BBQs on the corner of 75th and Stewart Ave. in Englewood to interrupt the cycle of violence and crime in the area and introduce a safe space to foster community growth. MASK partners also ensure that community members have access to necessary city services and opportunities for educational and professional growth. The founder of MASK, Tamar Manasseh said she felt the need to do something back in 2015 when a young mother named Lucille Barns was murdered on the same corner at age 34 while trying to interrupt a fight. During her intervention she was killed in a drive by shooting. Manasseh said she was outraged by the incident and felt that if mothers were being murdered something needed to be done. 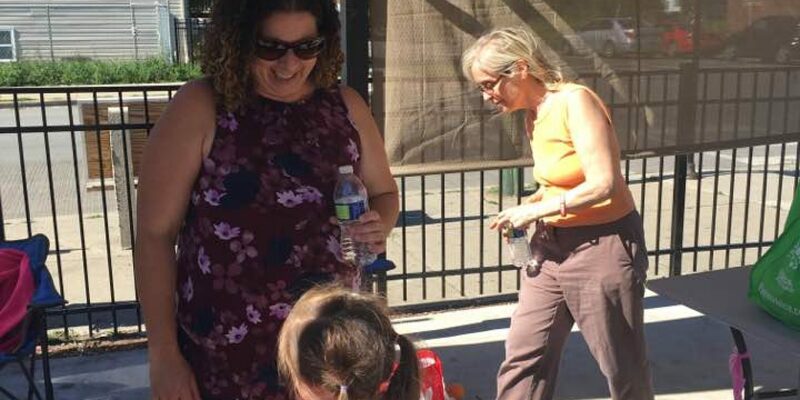 Despite the danger of setting up a BBQ filled with mothers and children in a spot where someone had been murdered just three-days prior, the mothers pushed through. Since the initial incident four years ago, they have held their daily gatherings and there have been no other shootings on the block. 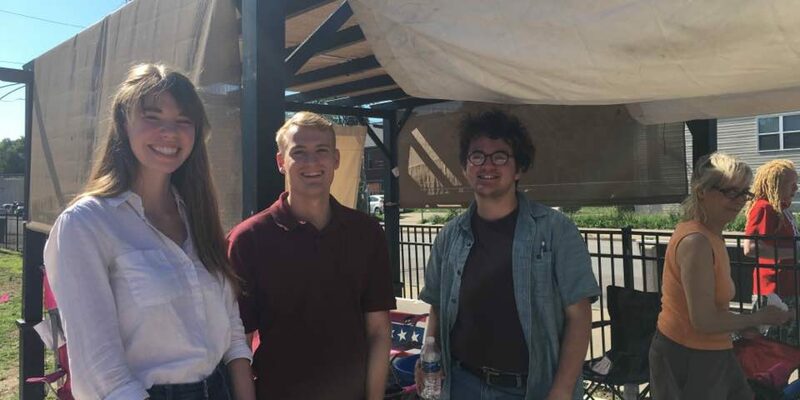 MASK has brought a renewed sense of hope and community to the area and continues to provide a space where individuals can come together and form positive, lasting relationships. 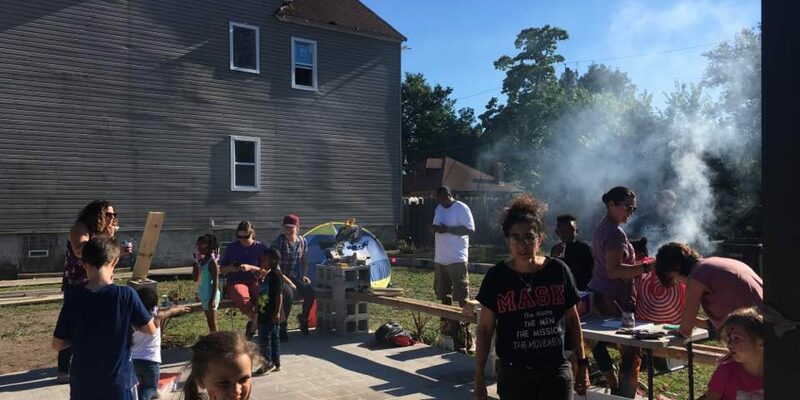 MASK welcomes individuals from across the city to join their daily cookouts and enjoy good food, great conversation and the wonderful summer weather. 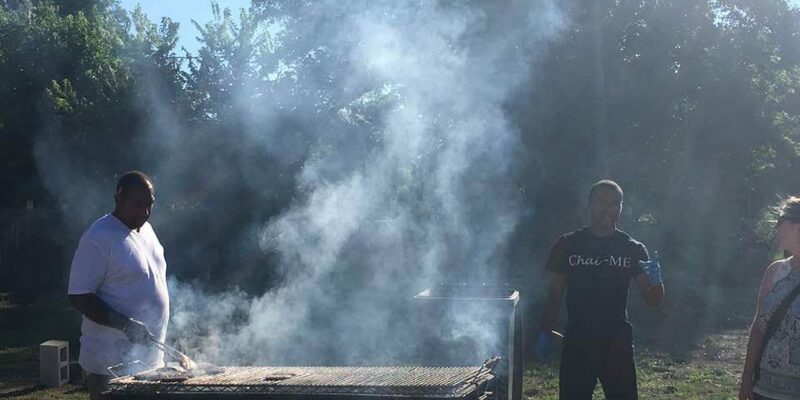 The cookouts are always held at 7500 South Stewart Ave. from 3:00 – 7:00 pm and everyone is welcome to join free of charge. Children are encouraged to tag along as well. Individuals interested in bringing or donating a meal can do so through take them a meal.com.